Establishing a hot restaurant in New York City is one thing. Maintaining it for over a decade is another. That’s exactly what chef/restaurateur Josh Capon has managed to do with Lure Fishbar. And so we are here to pay some respect. 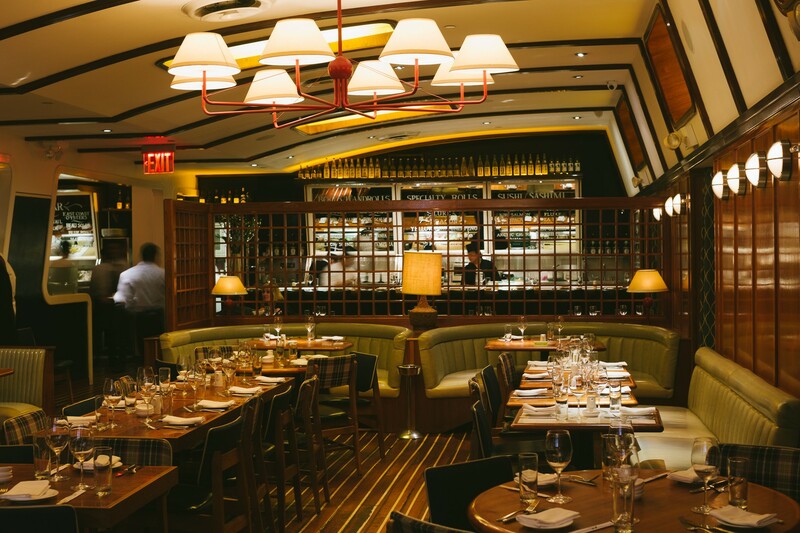 Lure has been a Soho fixture since it opened in 2004. It has always been one of the cooler, more unique restaurant spaces in town, with a subterranean room designed to look like a really sweet boat. And what are sweet boats usually filled with? Models, celebrities, and rich people. No matter how old the boat is. Beyond the clientele, Lure serves many functions: it’s where the bridge and tunnel crowd goes to turn up for dinner before hitting the club on Saturday night, and where downtown suits head for a business class lunch. It’s where the creative types go when someone else is paying, and it’s also the spot where locals hang at the bar for oysters and a burger. It’s quite the scene, and is still one of the best People Watching restaurants ever. No one really talks about Lure as a hot spot anymore, but business appears to better than ever. Much of Lure’s menu is tried and true, and some of it has even improved with age. You can’t beat the crispy rice with spicy tuna, the lobster roll delivers, and the award-winning burgers are worth a visit in their own right. You can go steak, you can go fish, you can go raw bar, or you can just come to drink. The bottom line is that you’ll probably leave happy. This pasta is stuffed to the brim with lobster, and sits in an amazing vodka-esque sauce. You should eat some. Much like the classic version you’ll most famously find at LA’s Katsuya and every restaurant in Miami, this crispy/crunchy rice with spicy tuna on top is a can’t miss order. About as perfect as a crudo gets. This should be on your table. There’s a reason why this burger keeps winning burger competition after burger competition - because it’s excellent. This is a giant roll that weighs in at $30, but it is also worth the splurge. As far as restaurant rolls go, Lure’s is one of our favorites in NY. Prepared with garlic and olive oil, this will do the trick if you’re looking for something simple. The big ticket fish for two at Lure is absolutely worthy of a spot on your table. You’ll likely be here with a big group anyway, so get the crispy snapper for everyone to share. You’re gonna want to leave room for dessert. Looking for the perfect downtown sushi spot to take people when you’re not the one paying the bill? Blue Ribbon is your joint.